These clients had experienced a life change. They relocated from their home in California, where they had lived for over 30 years and raised a large family, to a brand new home in Arizona. They did some sorting before their interstate move (which they did themselves). 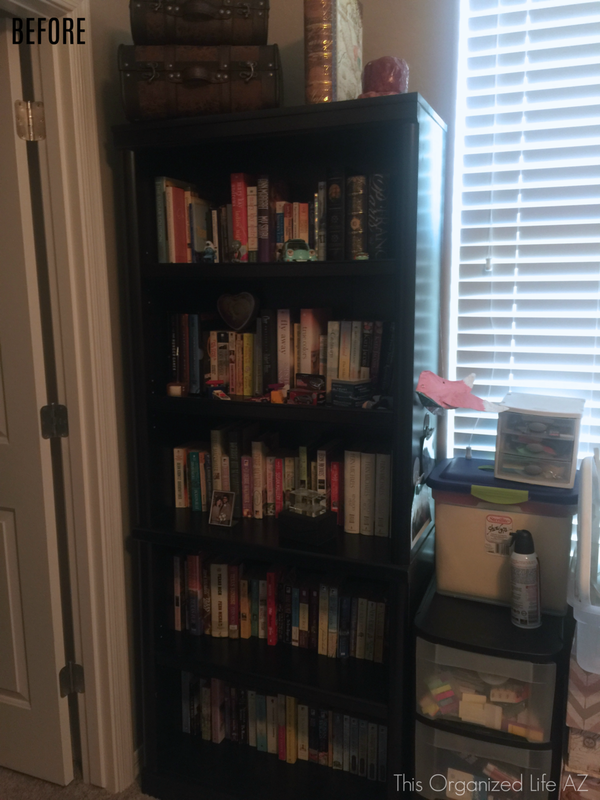 Once they moved into their new home, they had several unexpected life events arise, which delayed the normal sorting and organizing that one might hope for when settling into a new home. 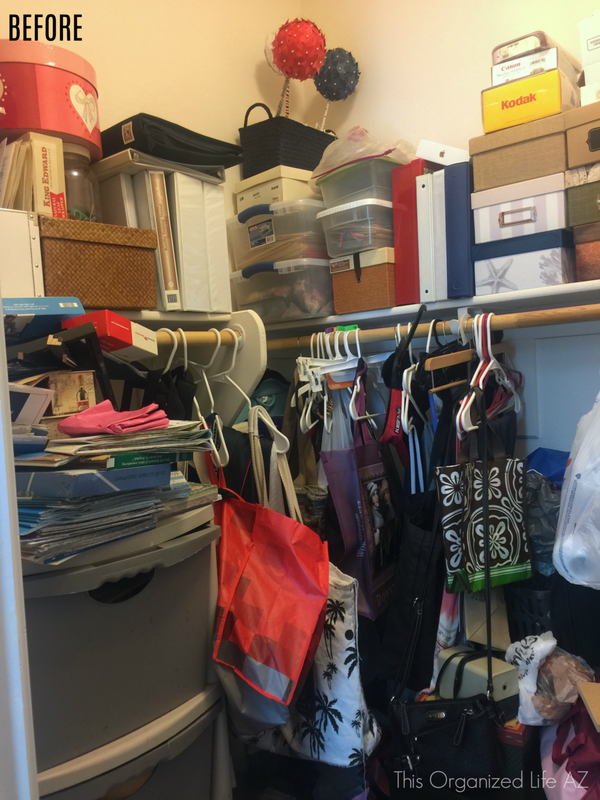 Our recommendation was that we focus on not only the closet, but also the home office space in its entirety and give each of these 3 areas their own distinct space. This was a multi-day project. Everything was removed from the room and grouped together by category. Working together, our team and the client went through each area to remove those items which were duplicates or no longer needed. 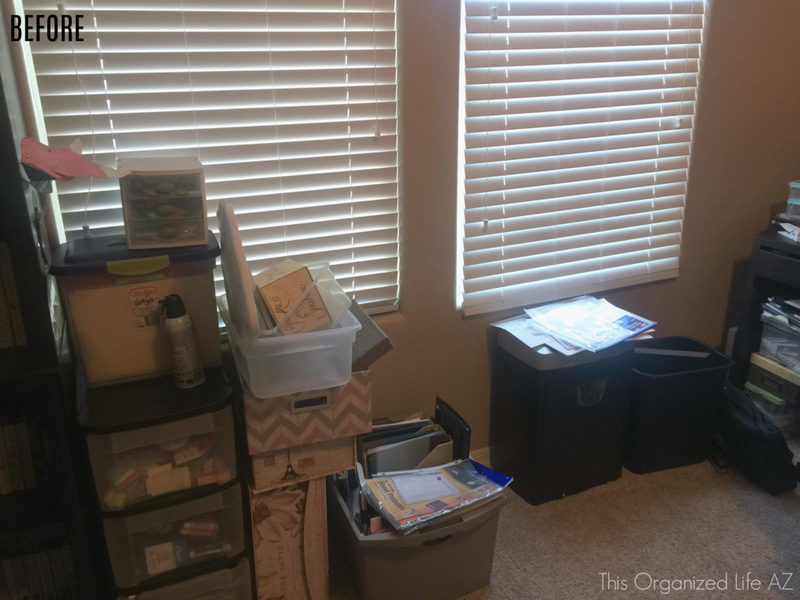 Our client realized that she had duplicates of many office supplies which she had purchased simply because she could not find what she already had. Our team made sure everything was within sight so it will be obvious when supplies are running low and restocking is needed. Besides saving money by not re-buying supplies she already has, our client also has a much more functional work space. 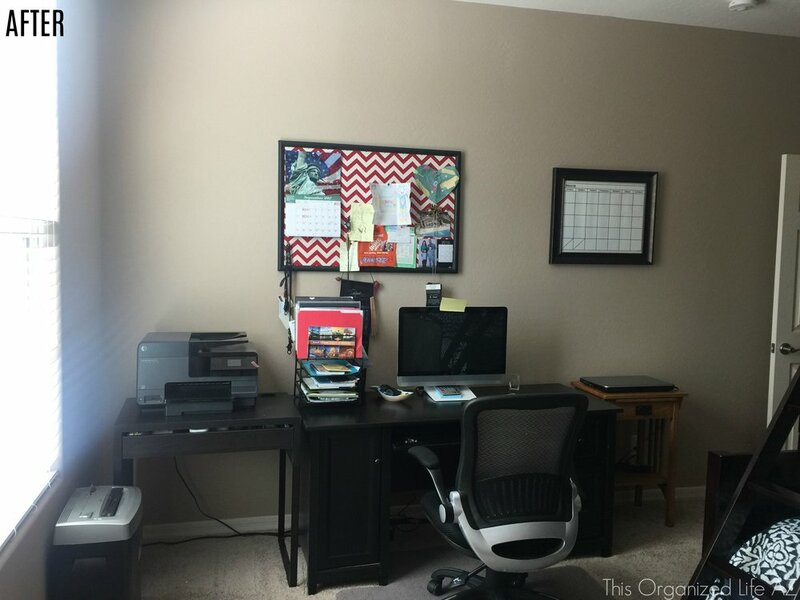 We were able to free up valuable desk space that she can use for paying bills, writing letters, working on projects, etc.